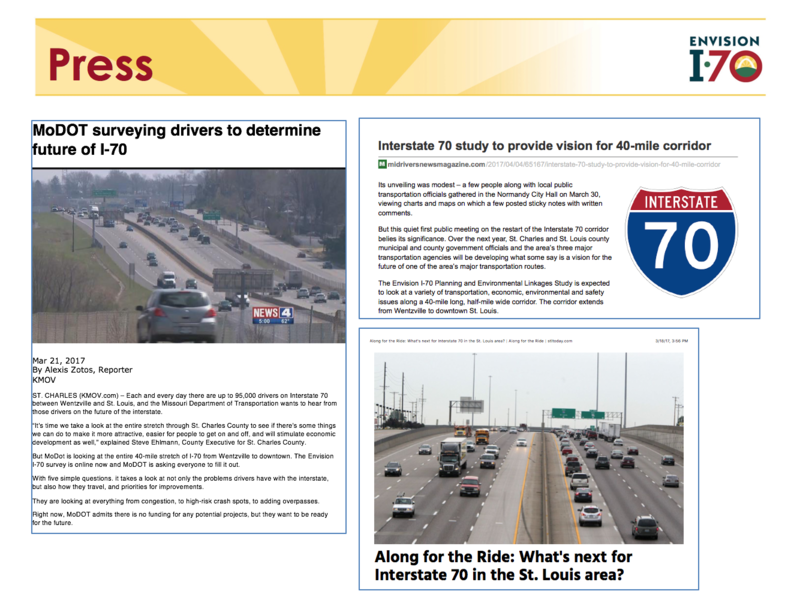 Getting public feedback on a project that imminently impacts people’s lives is one thing – but how do you engage the public to share their ideas about the future of an interstate? 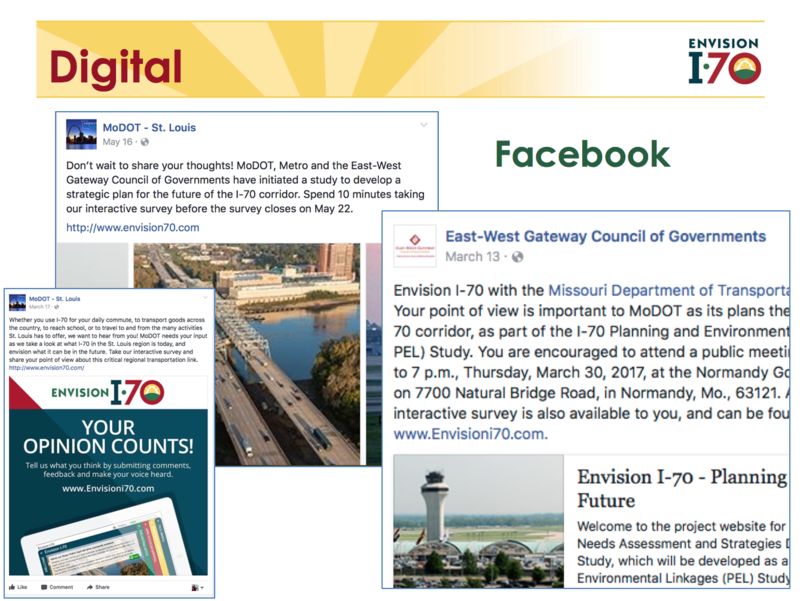 StratCommRx works with the engineers and planners at Jacobs and the Missouri Department of Transportation on Envision I-70, a Planning and Environmental Linkages Study that will result in the development of multi-modal strategies that are responsive to the St. Louis Region’s current and future needs along I-70. 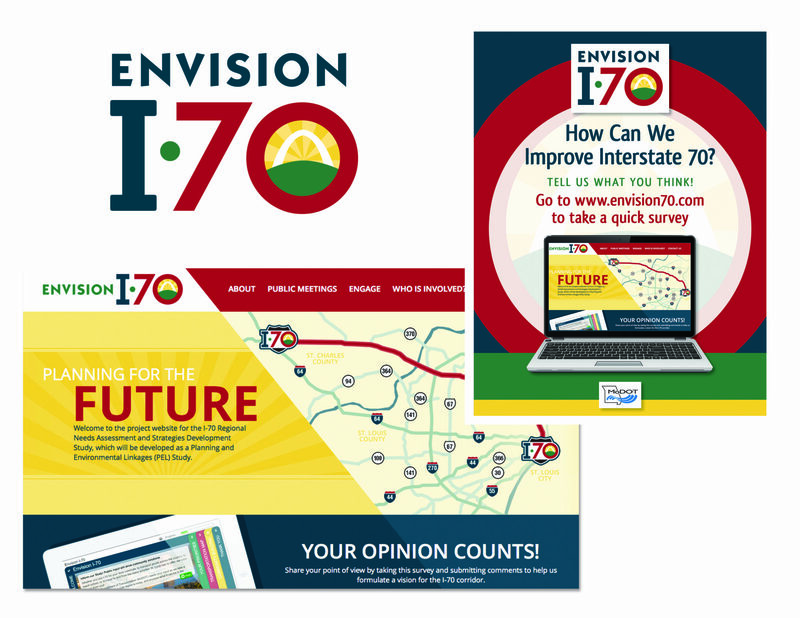 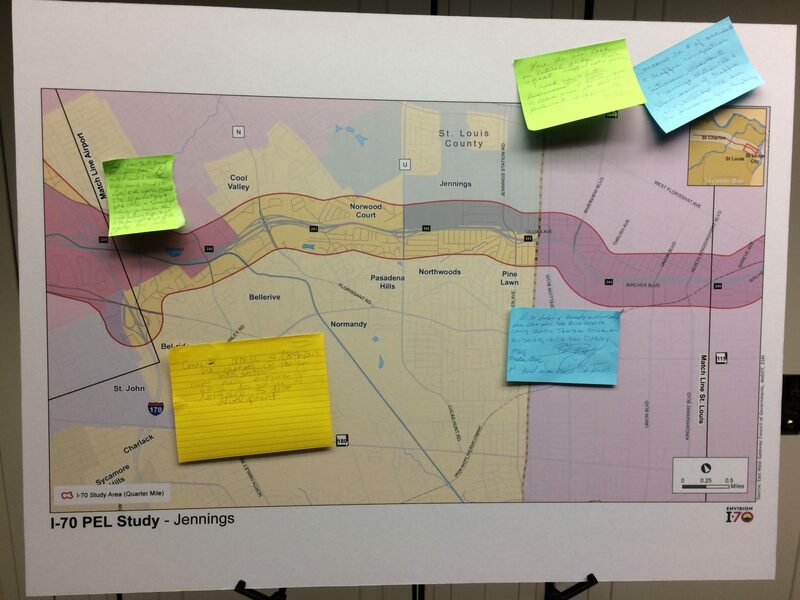 A public involvement plan, visual identity, website, four stakeholder groups, public meetings, resource agency meetings, key influencer interviews, and a customized online engagement tool were developed, allowing us to gather meaningful feedback from experts, community leaders, municipal officials, and more than 2,600 members of the public.